I've been getting into Google's App Engine recently, and have started re-building one of my photo site on it, as probably you've seen on Google Plus. 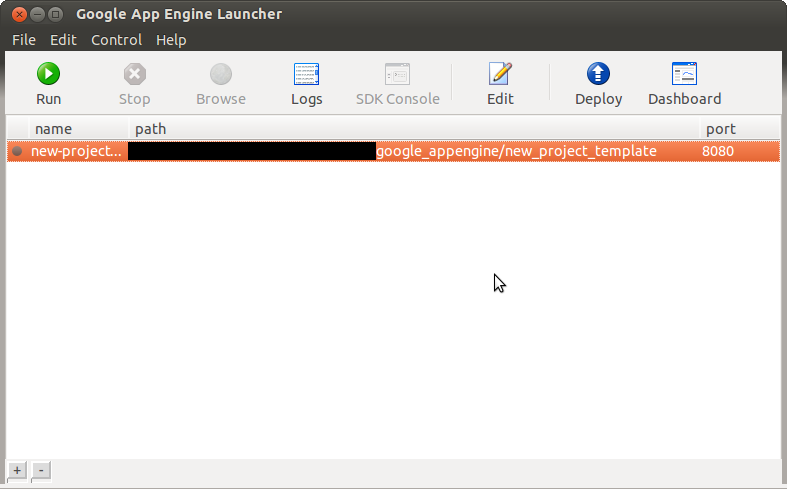 On OSX Google provide the very excellent App Engine launcher for your Python projects, but not on Ubuntu or other linux distros. OK you might use Eclipse but thats for your Java projects. If you'd like similar funntionality on Ubuntu or other Linux flavour, these instructions basically from here worked well for me. Clicking on 'Edit' launches your preferred text editor which for me is gEdit, more of which later. Of course on OSX TextMate is shear brilliance. Cannot create a new project. App Engine SDK not found. Please install the App Engine SDK, or set its location in the Preferences.